The first of three games using a puzzle system somewhere between Minesweeper and Picross. Puzzles are presented on a hex grid with numeric clues that allow the player to deduce which cells must be colored in and which must be blanked out. 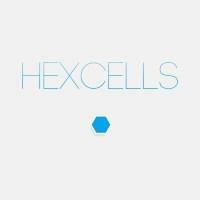 The clues are a mix of Picross-like ones giving information about the cells in a row or column and Minesweeper -like ones giving information about the cells near another cell, but in both cases there’s some extra variation and complexity mixed in. Incorrect attempts to color or clear a cell will be rejected and will increase a “Mistakes” counter - there’s an achievement for clearing puzzles without mistakes but you are not otherwise punished for making them. The achievement still feels like a misstep to me, since if you’re trying to get it it’s quite frustrating to be most of the way through a puzzle and then have your mouse slip. Restarting the puzzle isn’t fun and it’s also pointless as a punitive measure since you can simply take a screenshot, restart, and then redo everything based on the screenshot. This first installment has thirty puzzles that will take a couple of hours or so to clear. The mechanics are interesting and cleverly applied, though it’s worth noting that there’s no way to save a partially-completed puzzle and return to it later (again, you can work around this by simply taking a screenshot). Overall, it’s enjoyable deductive gameplay not quite like anything else.